YEREVAN. – Canadian Prime Minister Justin Trudeau’s visit to Armenia is a historical event as it was the first visit of the head of Canada to the country, said Armenian Prime Minister Nikol Pashinyan at a joint press conference with his counterpart Justin Trudeau. During the meetings, the sides discussed a wide range of issues from domestic policy to regional and international challenges. 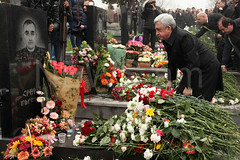 Armenian Prime Minister highlighted that the parties have a common view on many issues. “The Prime Minister of Canada is well informed about the developments in Armenia,” Pashinyan said, reiterating that Armenia is on the path of democracy. “Armenian-Canadian relations are developing, the task is to expand business ties, people-to-people contacts,” Pashinyan said. 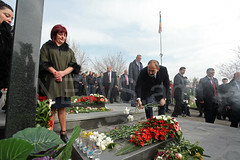 Hailing the work of the Canadian Prime Minister, Nikol Pashinyan said that he considers Trudeau not only a friend of Armenia and the Armenian people, but his friend personally. Justin Trudeau highly appreciated the work on the Francophonie summit and the warm welcome in Yerevan. He confirmed that he came to Armenia in the 1980s with his father and brothers. The Prime Minister touched upon the role of the 60-thousand strong Armenian community of Canada. “They enrich the palette, confirming the fact that diversity is the strength of Canada,” the premier said. Trudeau also highlighted the need to facilitate the journey of citizens.